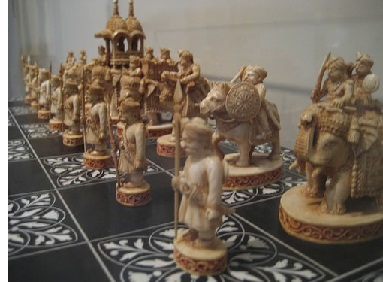 Chess - The modern international game of Chess has its origins in India. It was invented around the 6th century during the Gupta Empire and called Chaturańga (which is Sanskrit). It grew in popularity quickly and was brought to the Sāssānid Empire by Chosroes I where it was called Shatranj. In Persia, players began using the term "Shāh!" (Persian for king) when the king came under attack, and "Shāh Māt!" (the king is helpless) when the king was unable to escape attack. Today we use the words "Check" and "Checkmate". After the Sāssānid Empire was conquered by the Arabs in the 7th century, the game continued to migrate west. By the late Medieval Period it had reached Europe where it was named Chess. Around the 15th century, the game had roughly evolved into its current form.